We’ve shared lots of tips on how to decide whether your child is ready for a smartphone and about how to write a device contract, which can serve as a great tool to help teach your child about responsible use of technology. But the old Russian proverb says: Trust, but verify. When many of us were kids, the gold-standard policy for American parents was to let kids have their privacy. Don’t read the diary. Don’t snoop on phone calls. Let children make their own decisions. But now Gen Xers and Millennials are parenting in an age of open high-tech access for even very young kids, and a new set of standards has begun to take place. In fact, the American Academy of Pediatrics recommends that parents friend their kids online, talk to them regularly about how to use social media, and carefully monitor children’s media use. 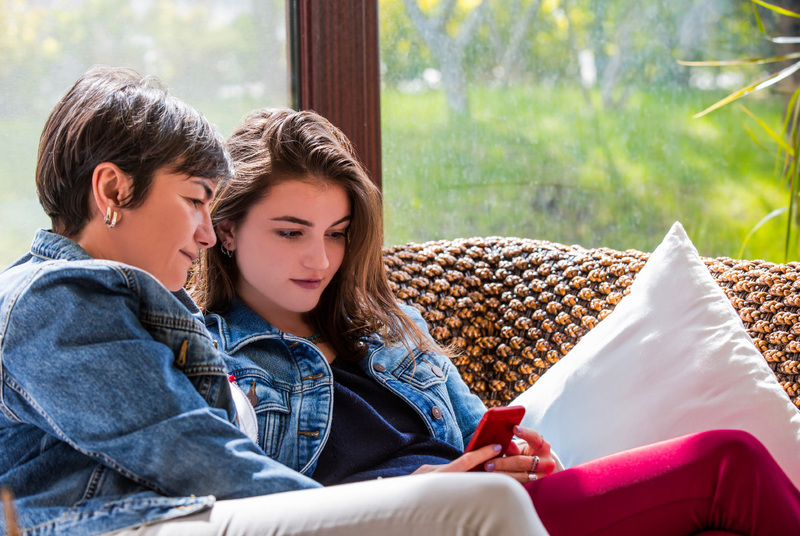 One of the most important things you can do to monitor your kids’ tech use: Be present. Use the tools and apps they use, friend them, check in on what they post and receive, and talk to them regularly about what they see and how to respond. Check your kids’ browser histories on computers and phones. Talk to them about content you don’t want them to see, and what they should do when they run across inappropriate content by accident (or when a friend sends it to them). Many parents require kids to share their passwords (for phones and for individual apps), and have an open-phone policy, where parents can (and do) check the kids’ phones or computers at any time. You may also want to think about specific software that can help you in this task, either setting up parental controls for the device, or installing monitoring software. Mobile and computer apps allow parents to monitor or restrict kids’ activities and posts. This recent post on Tom’s Guide, an expert review site, walks through the pros and cons of a number of popular pieces of parental monitoring software. Many monitoring apps and services also carry a price. For instance, the TeenSafe monitoring service, available for Android and iOS, costs $14.95/month. The uKnowKids service provides a parent dashboard showing kids’ online activity, with pricing at $10/month, with discounts for longer term payment. Remember, no matter how you monitor your kids’ online activities, your goal over time is for them to become good digital citizens, who post appropriately, search and read appropriately, and know how to judge the accuracy and credibility of the information they find.